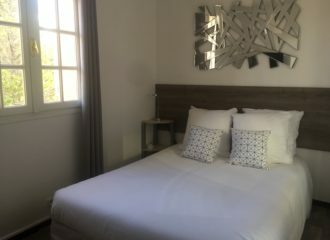 The hotel Castel Sainte Anne is located in the mediaval town of Le Castellet, Sainte-Anne du Castellet district (Var), at the foot of the Paul Ricard circuit and its aerodrome, in the west coast of Var. 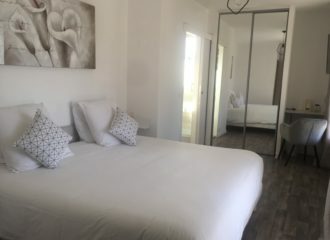 In a region very visited by tourists, it is also an accommodation close to a circuit frequented all year round for various competitions and tests as the Grand Prix Formula 1 for example. The hotel has 20 renovated rooms composed of double bed (140) or twin (2×90), a bathroom with Italian shower, a flat screen tv. A tarmac and sheltered parking can accommodate twenty vehicles for free. The hotel is under CCTV 24/24. A large terrace extends in front of the hotel to have breakfast (continental) or to relax for a moment. Guests can also enjoy the hotel pool during their stay depending on the season. 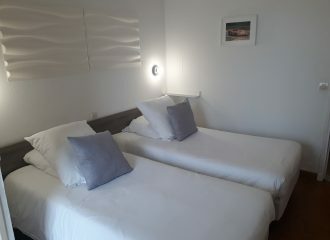 The setting and the charm of this hotel will allow you to spend a pleasant stay under the sign of calm and relaxation.